Here at Frost Estate Agents we specialise in Residential Sales and Lettings, Freehold Commercial and Land and New Homes. We are and have always been an Independent Agent since 1862, which means our focus is to provide customer service that will lead to continuous repeat business, recommendations and an outstanding reputation within our area. 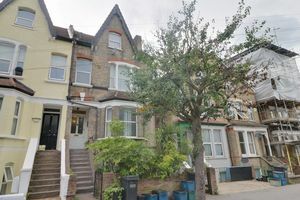 From our branch in the heart of Purley, we are able to cover a wide area of South London and Surrey by fully embracing the way that the internet is revolutionising the property market and by also having one of the largest teams in the area. Our core areas are within the Boroughs of Croydon, Sutton, Epsom and Ewell, Reigate and Banstead, Tandridge and South West London. We are also part of the largest Network of Independent Agents so we are able to assist with your onward move nationwide. 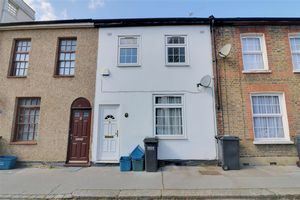 "Deciding which Estate Agents to appoint to market your property is always difficult, particularly when living nearly 200 miles away. However, Frosts have not only achieved a satisfactory sale, but their service has been first class, giving me regular updates on the progress of the sale. I can thoroughly recommend Frosts Estate Agency, the Directors and all their staff." "I would like to say thank you to you and your team especially Charlotte and Vanessa for the outstanding service that you gave to us. Everything went well on day, we were running a bit behind and I hope we did not delay matters too much." "We were not surprised to find that Frost had a good local reputation for their professionalism and excellent customer care making it an easy decision to instruct them to sell our house. From the beginning, we were again impressed with all the staff and the care they took in the selling process. Hopefully we will not be selling again for some time! But when we do, we can only hope the local estate agents can come up to Frost’s excellent standards." "Leaving our family home of thirty one years was always going to be difficult. Ben from Frost was so kind, professional and efficient and we had a buyer within six weeks. 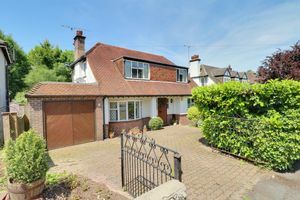 We experienced all the agents in Purley whilst looking for a property to buy and disappointingly none of them even came close to Frost. Our thanks especially to Vanessa, ‘our rock’ who kept us constantly updated and sane on the roller coaster ride of moving, and all the team at Frost who were all so helpful throughout the entire transaction. Quite simply; YOU ARE THE BEST." "We would have absolutely no hesitation in recommending Frosts to any prospective seller. The whole team from the initial inspection to final completion worked together and kept us advised of every bit of progress. They were unfailingly polite and helpful and each member of the team was always up to date with the sale so that anyone could assist. Frost arranged almost 30 viewings within the first week of marketing. They are a fine example that genuine Estate Agents do exist! WE CANNOT THANK YOU GUYS ENOUGH." "The lines below reflect the sincerity of our feelings and thanks for the invaluable assistance you and your colleagues at Frost have given to us. We recently sold our house through Frost Estate Agency and are delighted with the service we received from them. They explained every step of the process to us, gave professional and clear advice, and always acted in our best interests. We would not hesitate to recommend Frost Estate Agency to our family and friends."